Stock market strategists picking Bangladesh over Pakistan and Sri Lanka in 2019 as per report of ASIA TIMES dated 1st of January 2019. 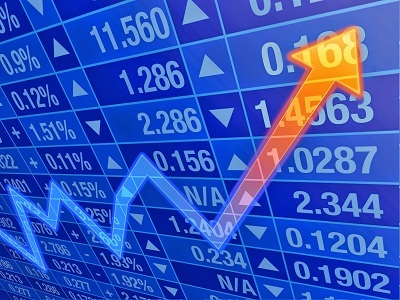 Capital Market in Bangladesh is constantly refining itself to achieve perfection in regulation etc. In recent past the market suffered serious blow for several reasons which includes among others regulatory weakness. However, in recent times plenty of reforms have been made by strengthening regulations, by amending laws, issuing new rules and regulations etc. In 2018, DSE sold 25% of premier bourse to Shanghai Stock Exchange which would likely to play a more proactive role market. The promoters and large sector entrepreneur heavily rely on Capital Market for capital required for their business growth. Our Capital Market witnessed good entrepreneurship and growth of efficient local and foreign companies even in falling market. On the other hand, small investors have suffered by investing in companies who are unable to managed their investment. Legal service is often required by sponsor/promoter in raising fund, issuing IPO and also signing different shareholding agreements etc. Large companies before raising fund from Capital Market also conduct due diligence on complex laws and regulations involving Capital Market. Foreign Institutional investor often ensure their physical present in the AGM etc. through their law firm in overseas market. Disputes involving insider dealing, dead-lock situation between share-holder, exits options, regulatory non-compliance is also common and requires expert legal assistance. 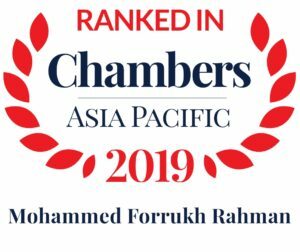 Rahman’s Chambers has in-depth knowledge over the regulation of SEC & the ability to navigate the complex regulatory regime that governs the capital market. We have handled a number of capital market related complex issues in last few years. Rahman’s Chambers advised high net worth individuals over legal complexity involving sponsor directorship and shareholding in listed public limited companies. Our expertise over listing regulations, security laws, baking, finance and corporate law and court maters puts us in unique position to serve client’s need and provide best possible practical advice. Mr. Rahman’s experience of working for central bank for a significant time also exposed him to related capital market legal issues. Besides, over the years the firm has advised a number of clients over share transfer of private, public and listed companies, IPO, regulation of SEC. Our Legal Consultancy & Documentation Team has experience, knowledge and skills to advise clients on complex capital market transactions that require experience across multiple practice areas e.g. banking, finance, corporate etc. Provided legal due diligence report to a foreign institutional investor in capital market of Bangladesh. In 2018, Represented a major US based foreign institutional investor to secure its interest in investment made in a multinational company listed in the capital market of Bangladesh. Legal action against SEC on refusal for permission in raising capital for private investment for Saturn Textiles Ltd. Legally assisting a shareholder of a leading listed company in a complex exit situation. Legally assisting a listed company in selling assets. Advising in raising of capital by issuance of IPO. Public and Private Securities Offerings. Securities Law and Corporate Governance. Transfer of Shares and related Disputes.